Strong second in moto one followed by disastrous DNF. 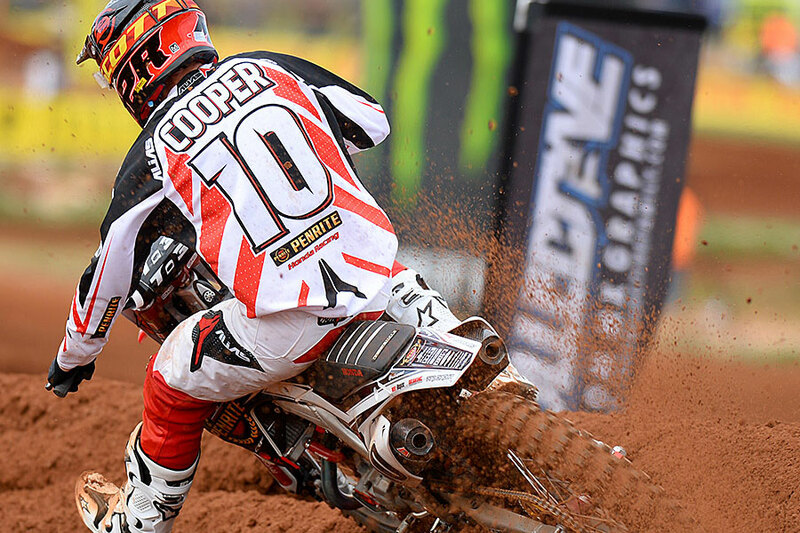 Penrite Honda’s Cody Cooper will have examinations on his knee following yesterday’s fourth of the Monster Energy MX Nationals in South Australia. 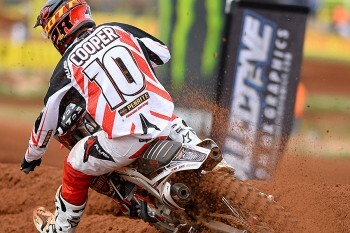 Cooper starred on his way to second in moto one during his best showing of 2014, however he recorded a DNF in moto two when a collision with Jake Moss saw him sustain a knee injury. The injury is Cooper’s second of the season after suffering facial injuries at Broadford’s season-opening round in practice. He returned to action at Wonthaggi’s third round.